Take home something beautiful and personal from your trip. 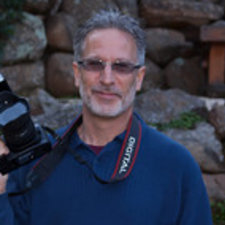 Jeff, a professional photographer, will capture your memorable moments and build a gallery of high quality shots ready to print. Born in San Francisco, Jeff is also familiar with this city's many neighborhoods, and knows the best places to go see jazz, rock or local talent performances. Great for events or family gatherings!